The perioperative nurse helps keep patients safe in the operating room. A surgical nurse, more correctly called a perioperative nurse, is a vital part of the surgical team. The registered nurse in the operating room may perform tasks in the preoperative, intraoperative or postoperative phase of surgery. 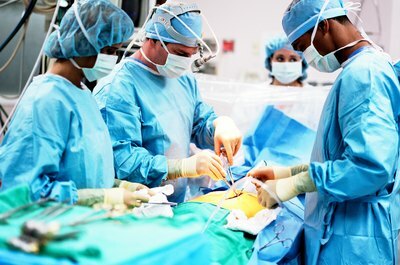 Perioperative nurses may work in hospitals, outpatient or ambulatory surgery centers, clinics and physician’s offices. Perioperative nurses work with other members of the surgical team, the patient and family members to ensure the surgery is safe and effective. Perioperative nurses may work as either scrub or circulating nurses. While the physicians perform the surgery and manage the anesthesia, the scrub nurse selects and passes instruments, tools and supplies used during the operation. 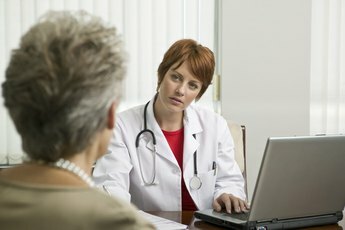 Since infection is one of the biggest risks of any surgery, she watches carefully for possible contamination to assure sterile technique is maintained at all times. The scrub nurse will assure that all items on the surgical trays are counted before and after the operation so the patient doesn't wind up with something extra inside him. The circulating nurse is the extra pair of hands for each of the other health-care professionals in the room. She will assist the surgeon, assistant and scrub nurse in donning their sterile clothing or protective equipment. She may bring more dressings or pick up an instrument that has been dropped. If the anesthesiologist needs his cart restocked or an additional vial of medication, the circulating nurse will perform those tasks. The circulating nurse is also the room monitor. She keeps an eye on all activity to keep the patient and the surgical team safe. Perioperative nurses assess patients prior to surgery and complete documentation that is used by other members of the team. They perform patient education and provide emotional support to the patient and family. 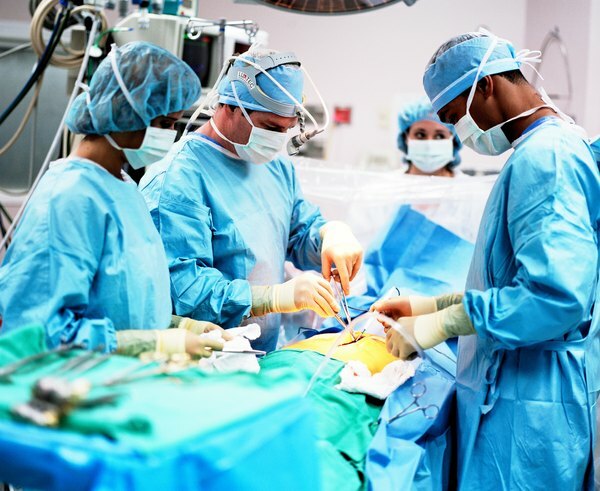 During and after the operation, the perioperative nurse may perform tasks such as taking the patient’s pulse and blood pressure, emptying suction equipment or removing dirty linens. Perioperative nurses must know how to operate all equipment in the operating rooms and where all supplies and equipment are stored. Perioperative nurses also perform a wide array of tasks outside of the actual operation. This may include helping to transport a patient to surgery or to the post-anesthesia recovery area. The perioperative nurse may administer medications to help sedate the patient prior to a procedure, order supplies or instruments and assure that equipment is properly cleaned and stored. 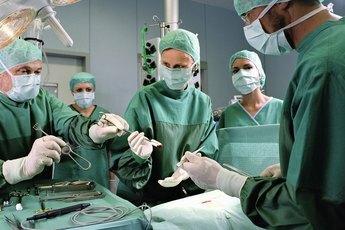 The perioperative nurse may also be responsible for sterilization of instruments in some organizations. Although a perioperative nurse must be an RN, there are no specific educational requirements for this position. 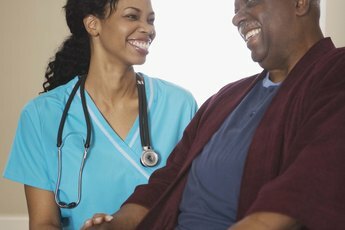 Perioperative nurses are grouped with all other RNs by the Bureau of Labor Statistics, but the average annual salary for an RN in 2011 was $69,110. Income for a perioperative nurse can be affected by the work setting. RNs who worked in general medical and surgical hospitals earned $69,810, while those in outpatient care centers earned $72,220. Other factors that affect salary include educational attainments, experience, union contracts and pay for being on call.